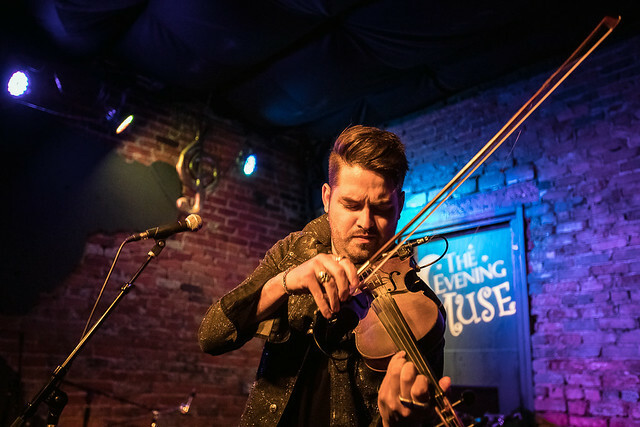 Rhett Price Lays Down The Jams In Charlotte Reviewed by Kris Engelhart on April 8, 2019 . When most people think of the violin, visions of symphony orchestras come to mind along with some of the greatest classical pieces of all time, perhaps Paganini’s “Caprice No.1” or Tchaikovsky’s “Violin Concerto.” The violin, though, has always been one of the most versatile instruments around and is a staple of many genres of music including classical but also folk, country, bluegrass, jazz, and even rock and roll. Where would country music be without Charlie Daniels and his iconic song “The Devil Went Down To Georgia?” Rock music has made use of the violin for decades with epic violin parts in Led Zeppelin’s “Kashmir” and “Dust in the Wind” by Kansas. Contemporary rock acts like Skillet and Yellowcard have also incorporated this unique instrument into many of their songs and artists like Lindsey Stirling have brought it to the forefront even more. 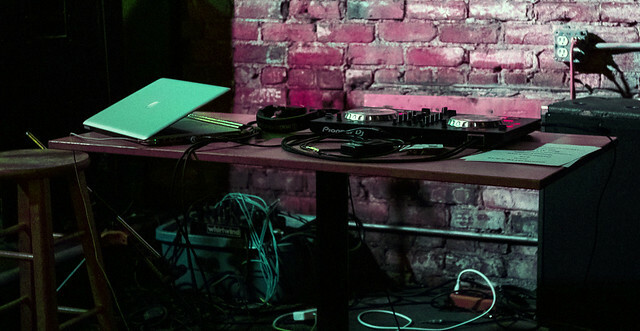 There is still one genre where you don’t hear much in the way of violins and that is hip hop. 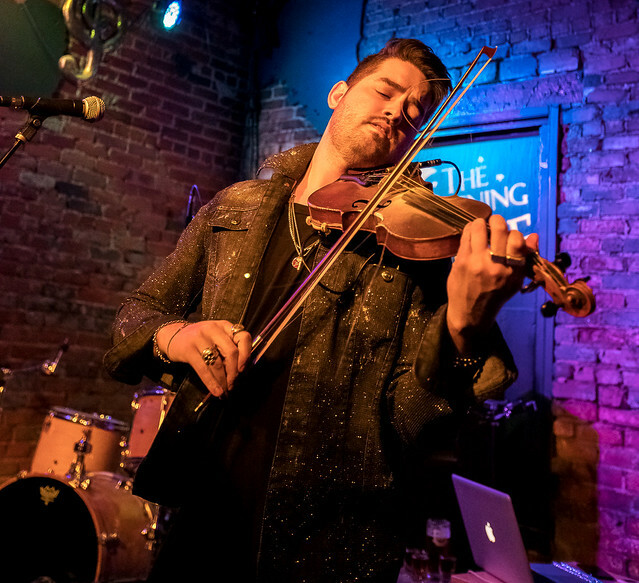 However, that too is changing and there is one man leading the charge, Rhett Price, The Hip Hop Violinist. Rhett’s story is somewhat of a rags to riches tale, although the monetary riches may still be a few years off. The once-homeless musician used to be found busking on the street corners of Boston, hoping for a few dollars to buy a meal and crashing in the practice rooms of the famous Berklee College of Music, from which he was forced to drop out. 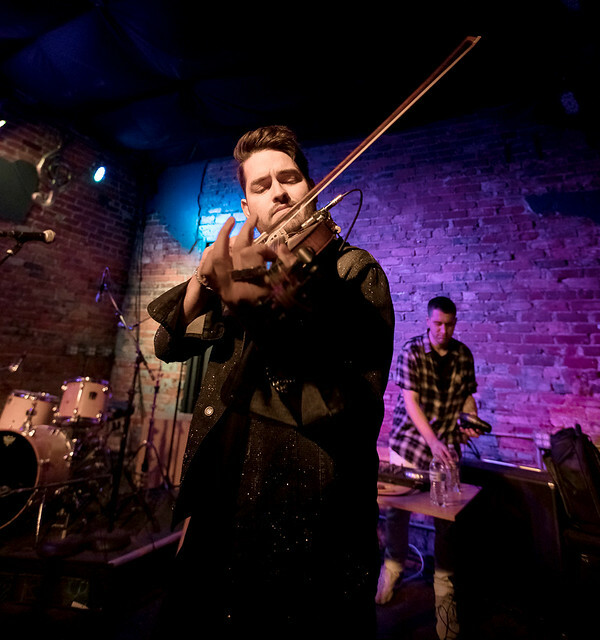 Price has utilized his musical skills to move the violin in a much different direction, producing covers of top hip hop songs and putting his own spin on them. He has become a YouTube sensation with over thirty million views and has shared a stage with some of the best musicians in the business including Machine Gun Kelly and the Dropkick Murphys. 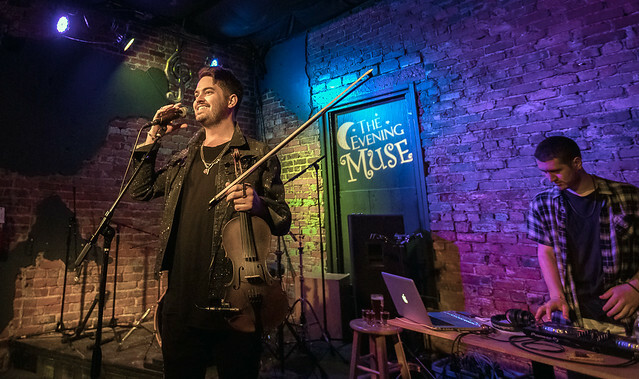 Rhett is back out on the road and brought his hip hop violin to Charlotte, playing a sold-out show at The Evening Muse Friday night. The crowd arrived early and there were quite a few people who had traveled a good distance to catch the show. When the venue announced that it was five minutes until show time, everyone made their way as close to the stage as possible in anticipation of what was to come. Rhett came out, violin in hand, and began the intro to his set. He was accompanied by only a DJ who set the background for Price’s music. Rhett joked at one point during the show that the music was the only thing making him sound good, but of course, that wasn’t true. Price sounded amazing as he danced, swayed, and played to the appreciative audience. 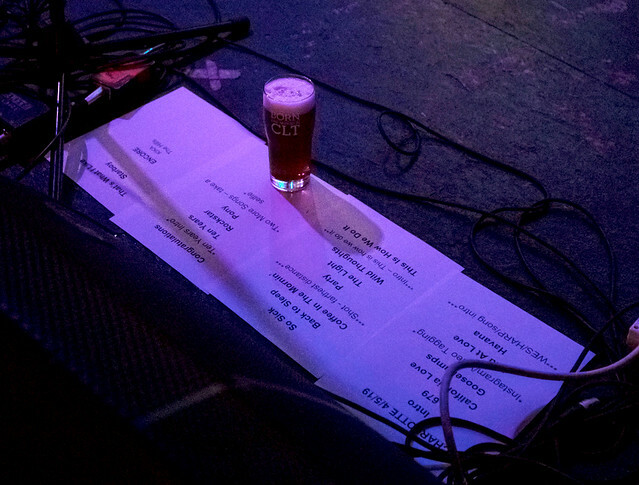 The set list ranged from Fetty Wap’s “679” to original compositions “Coffee in the Mornin’.” Despite a few technical glitches with some of his equipment (hashtag-musician problems), the show flowed smoothly. Price took a moment to introduce a musician named Wes, who was in Price’s words “a badass harpist” and played a song that the two were collaborating on. The audience was involved with the show from the very beginning, enjoying themselves and having a great time. At one point during the show, Rhett took a moment to ask how far people had traveled to see the show with the lucky winner getting to come up on the stage and do a shot with both Price and his DJ. He also took time to get a selfie with the sell out crowd, something that he said he always means to do but often forgets. Things really heated up when Price announced that he was including a song that he had never played live before and launched into Montell Jordan’s “This Is How We Do It,” which was a perfect choice since after all, it was a Friday night. 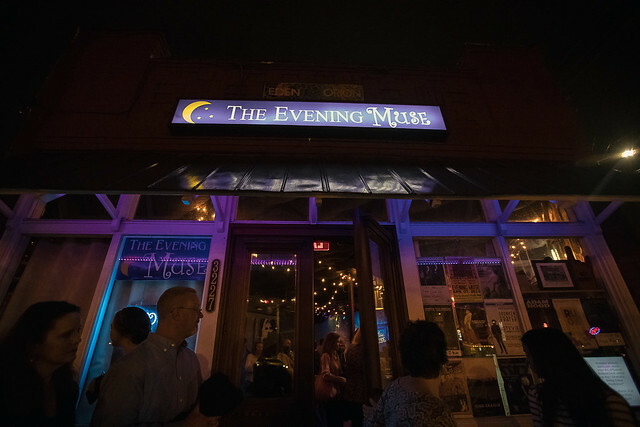 I was impressed by both Price’s skills and his ability to connect with the audience and before I knew it, the evening was coming to a close. 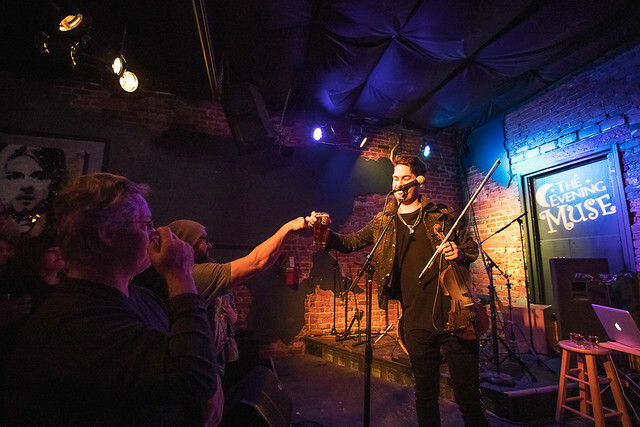 During his encore, there were a few more technical difficulties and Price decided to forgo his amplification and jump down into the crowd to close out the show with a downhome fiddle tune instead. Prior to hearing about the Charlotte show, I was completely unfamiliar with Rhett Price and his music, going into the venue not knowing what to expect. I was more than pleasantly surprised by what unfolded before me. In fact, I was blown away by Price’s talent. He put on a hell of a show that fans won’t soon forget. If you’re looking for something a little different, check out Rhett Price when he comes to a city near you.